Are you looking for affordable bathroom remodeling that will transform the look and feel of any bathroom in your home? From small bath renovations to master bath remodels, our one day or two day bathroom remodel services are second-to-none. We offer specialized services that solve the problem of stressful renovations. Each remodel is completed with ease and efficiency to ensure that you are able to use your brand new bathroom in one or two days. The key to a perfect retro fit bathroom is expert preparation work before your new products are installed. At Twoday’s we REMOVE the old the mold and the ugly, install necessary components like a new overflow faucet, sound proofing, moisture barriers and more and then install your modern new bath. What is a Retro Fit? 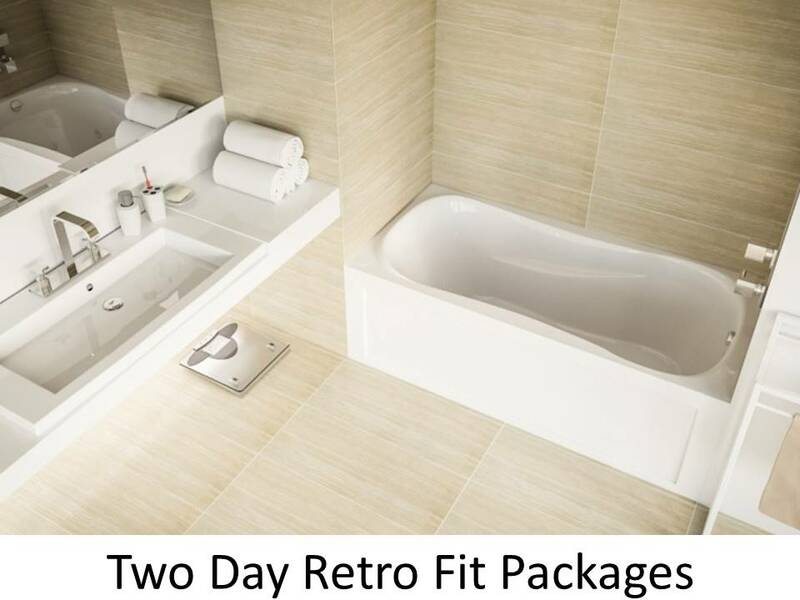 With a retro fit from Twoday’s you can have a beautiful new bath system installed with no messy, disruptive demolition work. We have developed and perfected our proven Fast Fit System, and will take care of everything for you, from conception to completion. We also GUARANTEE our time-line and workmanship. We remove the old, professionally prep the area including any required repair work, and then install your new 3-piece Freestanding Tub/Shower unit or perform a Tub to Shower Conversion. Beautiful, modern, practical and affordable, our bathrooms increase the value of your home and can be completed in one or two days. Why Choose TwoDay’s For Your Bathroom Remodel? Installed by our certified installation technicians, we can assist you in selecting the products that suit your lifestyle and make sure the job is done right. We have installed thousands of retrofit bathrooms for satisfied customers. Read some of our testimonials here. Our unique wall systems are made to ensure a watertight fit with no visible silicon. We GUARANTEE our time-line and workmanship and all our products come with a manufacturer’s 2 year warranty. 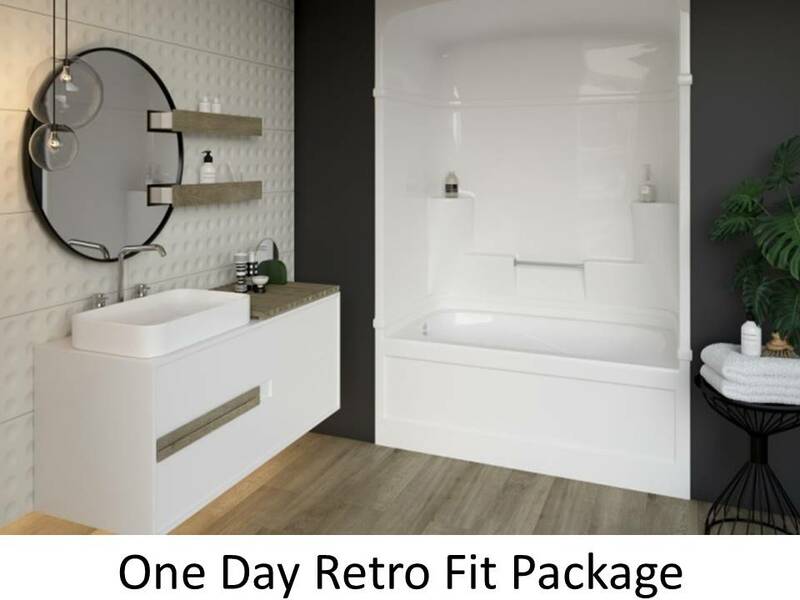 Please click on the images below for more information on our one and two day retro fit packages. Compared to the national brands, we’ll beat them on price, service and installation every time!